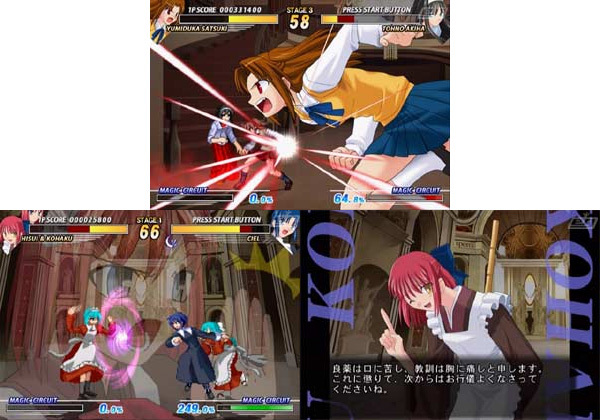 Started life as a doujin (or home made) fighter on the PC before gaining its notoriety and a well earned Naomi conversion to the coin-op. 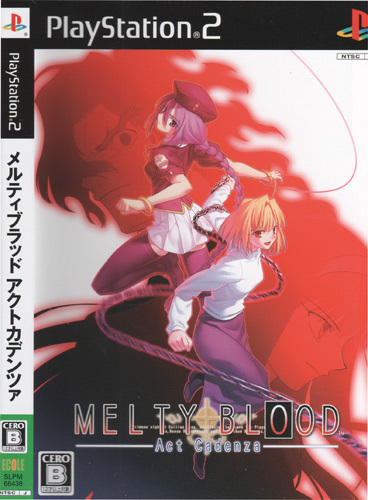 This PS2 version is based on the arcade version and the input of fight fanatics is clear with influences from most the major scrapping series' creating the unique Melty feel. 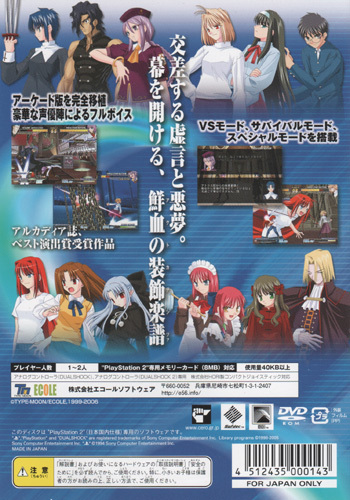 Also included is a PS2 version with the dominating discrepancies of the arcade bullies ironed out. Overall the fan feel to proceedings will be savoured by the savvy otaku: plenty of female protagonists to get to grips with and a distinctive style make this stand out like a shiner. Second hand. Import friendly English menus. Cero B. Couple of slight manual creases and slight disk scratches.